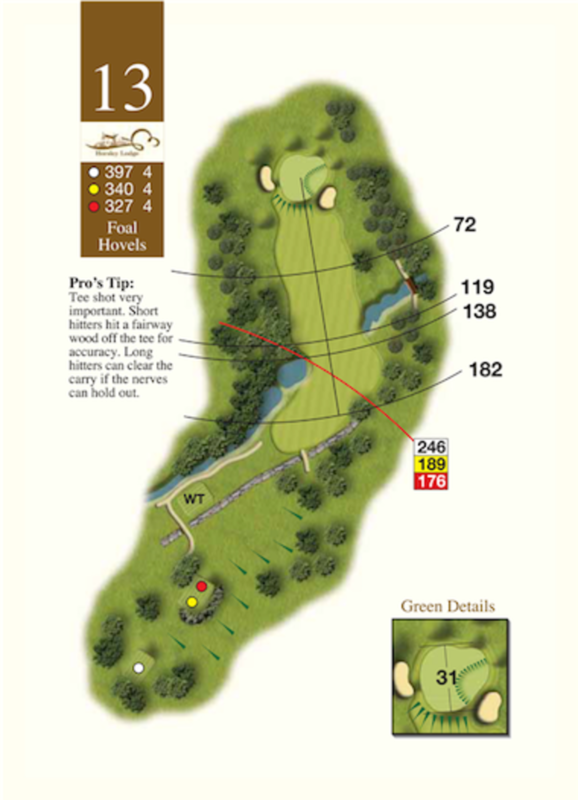 Foal Hovels: Tee shot very important. Short hitters hit a fairway wood off the tee for accuracy. Long hitters can clear the carry if the nerves hold out.